Before we spend days researching a stock idea we’d like to take a look at how hedge funds and billionaire investors recently traded that stock. S&P 500 Index returned about 5.2% during the last 12 months ending October 30th. Less than 49% of the stocks in the index outperformed the index. This means you (or a monkey throwing a dart) have less than an even chance of beating the market by randomly picking a stock. On the other hand, the top 30 S&P 500 stocks among hedge funds at the end of September 2014 had an average return of 9.5% during the same period. Sixty three percent of these 30 stocks outperformed the market. Hedge funds had bad stock picks like everyone else. Micron, which lost 50% over this period, was one of hedge funds’ 30 favorite S&P 500 stocks. Anadarko Petroleum was another failed stock pick which lost more than 26%. So, taking cues from hedge funds isn’t a foolproof strategy, but it seems to work on average. In this article, we will take a look at what hedge funds think about Walgreens Boots Alliance Inc (NASDAQ:WBA). Walgreens Boots Alliance Inc (NASDAQ:WBA) investors should pay attention to an increase in enthusiasm from smart money lately. If you’d ask most traders, hedge funds are perceived as unimportant, outdated financial tools of the past. While there are over 8000 funds in operation today, Experts at Insider Monkey, a website specializing in hedge funds, choose to focus on the crème de la crème of this club, about 700 funds. These money managers preside over the lion’s share of the smart money’s total asset base, and by keeping track of their highest performing stock picks, Insider Monkey has unsheathed several investment strategies that have historically outpaced the S&P 500 index. Insider Monkey’s small-cap hedge fund strategy outrun the S&P 500 index by 12 percentage points annually for a decade in their back tests. Keeping this in mind, we’re going to take a look at the key action encompassing Walgreens Boots Alliance Inc (NASDAQ:WBA). At the end of the third quarter, a total of 91 of the hedge funds tracked by Insider Monkey were bullish in this stock, a change of 12% from the previous quarter. With hedge funds’ capital changing hands, there exists an “upper tier” of key hedge fund managers who were boosting their holdings considerably. Of the funds tracked by Insider Monkey, Andreas Halvorsen’s Viking Global had the largest position in Walgreens Boots Alliance Inc (NASDAQ:WBA), worth close to $1.93 billion, comprising 7.4% of its total 13F portfolio. Sitting at the No. 2 spot is Barry Rosenstein of JANA Partners, with a $1.14 billion position; 12.9% of its 13F portfolio is allocated to the company. Some other peers that are bullish encompass Daniel S. Och’s OZ Management, Stephen Mandel’s Lone Pine Capital and John Armitage’s Egerton Capital Limited. As the industry-wide interest jumped, some big names were breaking ground themselves. Soroban Capital Partners, managed by Eric W. Mandelblatt, initiated the largest call position in Walgreens Boots Alliance Inc (NASDAQ:WBA). Soroban Capital Partners had $166.2 million invested in the company at the end of the quarter. Doug Silverman and Alexander Klabin’s Senator Investment Group also made a $83.1 million investment in the stock during the quarter. The following funds were also among the new WBA investors: Leon Cooperman’s Omega Advisors, Ben Gambill’s Tiger Eye Capital, and Joe DiMenna’s ZWEIG DIMENNA PARTNERS. Let’s go over hedge fund activity in other stocks similar to Walgreens Boots Alliance Inc (NASDAQ:WBA). We will take a look at AbbVie Inc (NYSE:ABBV), The Boeing Company (NYSE:BA), 3M Co (NYSE:MMM), and United Parcel Service, Inc. (NYSE:UPS). All of these stocks’ market caps match WBA’s market cap. As you can see these stocks had an average of 49 hedge funds with bullish positions and the average amount invested in these stocks was $2.68 million dollars. 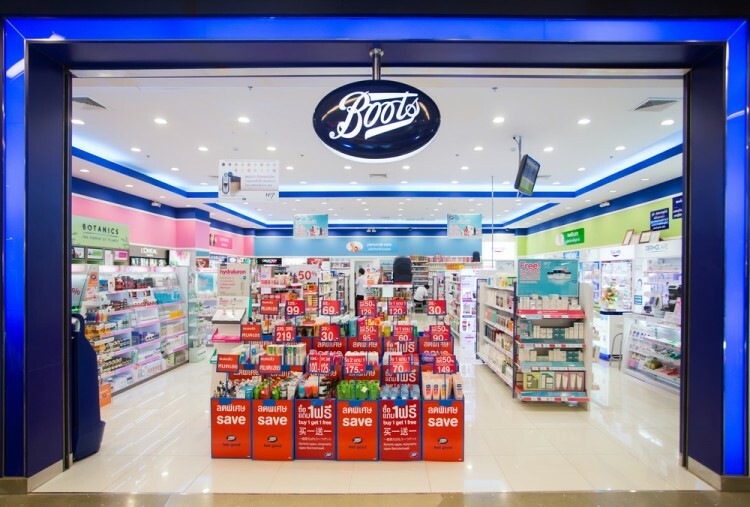 The increase of the interest from hedge funds towards Walgreens Boots Alliance shows that the stock might be poised to gain ground in the near future, which is why it may be worth your next investment.